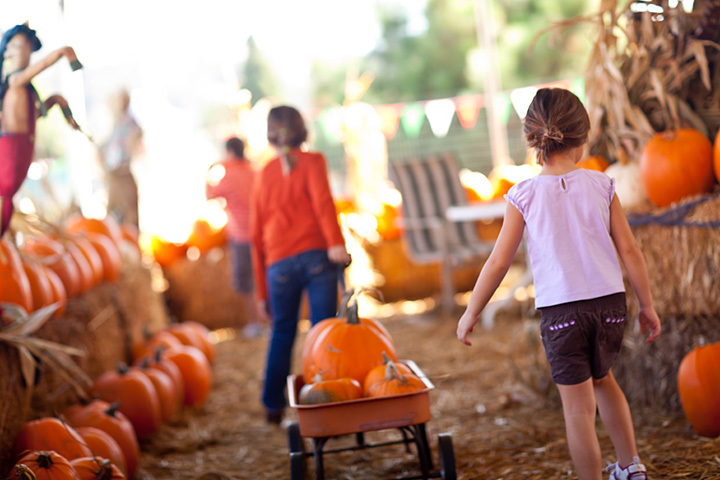 The 10 Best Fall Festivals in Missouri! When fall rolls around, and the weather is simply perfect in Missouri, there’s nothing better than visiting a fall festival. From Branson to Eureka, you’ll discover an abundance of fall celebrations. Whether its in honor of maple leaves or cowboys, we’ve got it all. Here are the best festivals in Missouri. What better way to get in the spirit of fall? Building scarecrows is truly a seasonal tradition, and in Eureka they take the event very seriously! There is something whimsical about scarecrows decorating the fronts of homes and local businesses. Come by and check them out throughout the month of October or participate! Each year more than 80,000 visitors participate in this wonderfully colorful fall festival in the city of Carthage. Taking its name from Mother Nature, the Maple Leaf Festival began in the 1960s as a marching band contest. These days, the Maple Leaf Festival is well-known for hosting the largest parade in Southwest Missouri. Many other events and activities are also scheduled, including a marching band festival, car and tractor shows, a wide variety of vendors, a costume ball, carnival, and circus. During this two-day event, approximately 100,000 visitors come out to celebrate. Enjoy pumpkin carving, hundreds of street vendors, and the sampling of the Kimmswick Historical Society’s famous and delicious apple butter. It's pumpkin time! Head out to Washington, Missouri, for an incredible pumpkin event this fall. There is plenty of activities for both children and adults. With such a big schedule of activities and events, you'll be hopping from one thing to the next! Entries for the Giant Pumpkin Weigh-In are on display at Pumpkin Palooza! What an event. Celebrate all things four-legged friends at this year’s Dogtober Fest in Blue Springs, Missouri. The event includes bobbing for biscuits, sack races, roll-rover races, biscuit eating, musical Frisbees, costume contest, and much more! Silver Dollar City, known as the Home of the American Craftsman, is the host of this popular fall fest. One of the best festivals in the Branson area, the National Harvest & Cowboy Festival is a salute to the Great American Cowboy. The National Harvest & Cowboy Festival features 125 visiting craftsmen, chuck wagon cooking, an old-fashioned barn dance, and so much more. If you enjoy the sound of a fiddle, then you'll enjoy this popular fall festival in Mansfield, Missouri. The Wilder Days Festival is an annual community celebration that honors America's favorite pioneer girl, Laura Ingalls Wilder, and her beloved Little House on the Prairie books. This year is sure to please everyone, check the festival's page to keep updated with the exciting line up of actvities and events. The Warsaw Pioneer Heritage Days festival has been celebrating this area's link with its past since 1981. Held during the third weekend in October, this annual event celebrates the Warsaw heritage and community with unique arts and crafts and 19th century demonstrations. Thousands gather together in Mountain Home each year to celebrate Pioneer Day. The Pioneer Day Festival is known for unique features like a flapjack breakfast, an antique wagon show, and pioneer-style activities like mule jumping demos and a Woodsman Competition. Festival goers also enjoy over 100 craft, food, and other great vendors, as well as the parade, children's activities, and live entertainment. If you're in the mood to watch some hearty competition, be sure to check out the costume contest, the and the Pinewood Derby. This may be one of the most important celebrations of them all! In honor of the food that truly makes all things better, the annual Ozarks Bacon Fest is as delicious as it sounds. Not only is this a tribute to bacon, it’s also in celebration of bourbon and beer. At this event, you’ll be able to sample all three. Enjoy live music and a bacon eating contest, as well. View more Missouri Festivals, Fairs and Parades.